Paintable wall coverings are a flexible solution for contemporary interior design in residential properties, offices and public facilities. With AP Pigment, we present a technically high-quality collection with unique material properties that offers something for everyone and inspires designs for all life styles. The textures were developed especially for, and in collaboration with, the trade. Innovative coatings create exciting colour and 3D effects, offering possibilities for the creative design of sophisticated interiors. 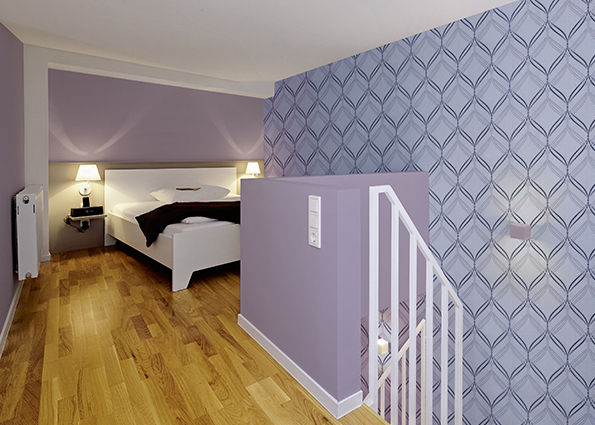 All wallpapers are of a consistent Made-in-Germany quality, are RAL-tested and can be hung quickly and easily without soaking. 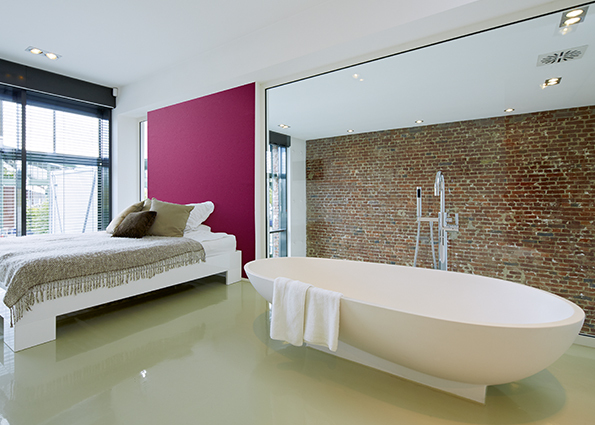 When it comes to renovating at a later date, they can be stripped off completely dry. Their excellent, hard-wearing material quality sets them apart from other wallpapers and they are dimensionally stable, permeable to steam and flame retardant. 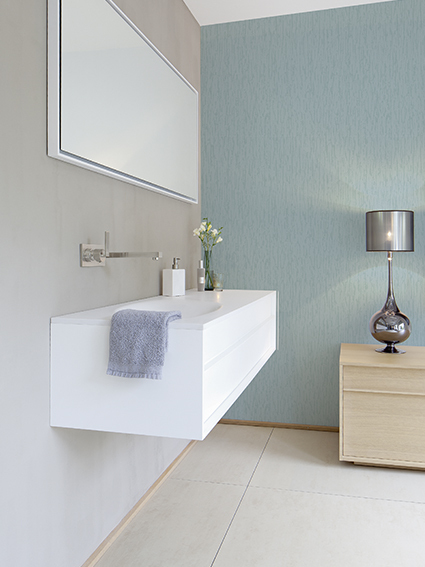 In conjunction with the choice of colour, the breathable, skin-friendly material creates a pleasant room atmosphere. The AP Pigment collection consists of 12 material groups, divided according to their individual properties and the different possibilities for creative painting. 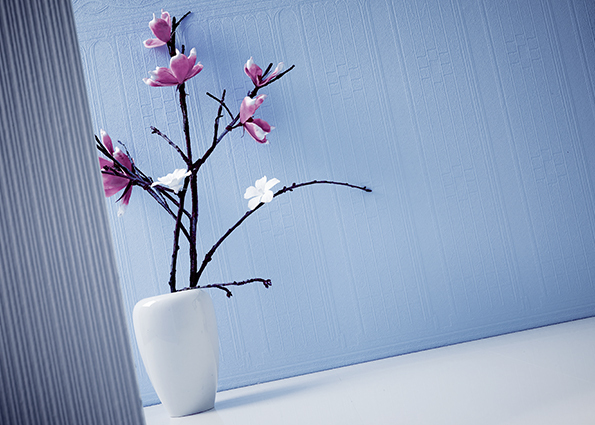 ColourTec is an innovation in paintable wallpaper products. 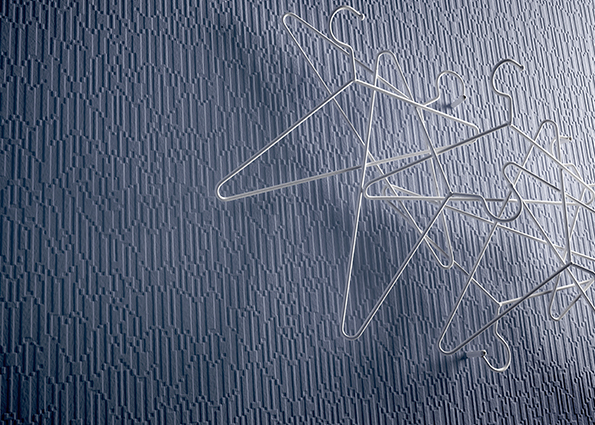 This multiple award-winning wall covering creates a unique effect when painted. 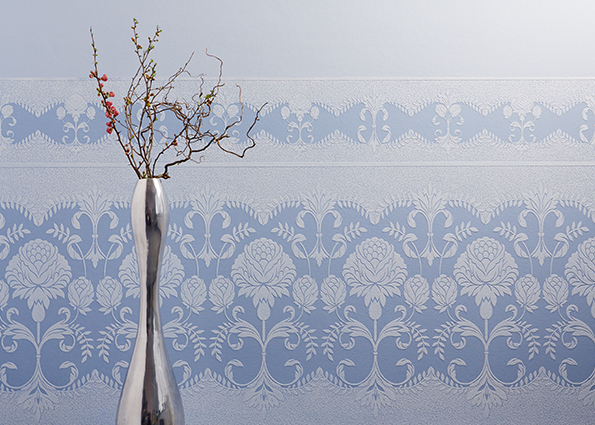 The stripes and ornamentation of these wallpapers are coated with the hydrophobic lotus effect. That means suitable varnishes simply roll off and small amounts of surplus colour remain on the surface, creating a fascinating vintage effect. By contrast, the open non-woven material absorbs the varnish very well. When desired, the vintage look can be almost completely eliminated with appropriate finishing. Stripes, raw silk, leather, floral patterns – Classic stands out with an array of decorative ornaments and lively structures. The specially pre-treated non-woven material is particularly easy for painting and has been optimised for use as top-coating. 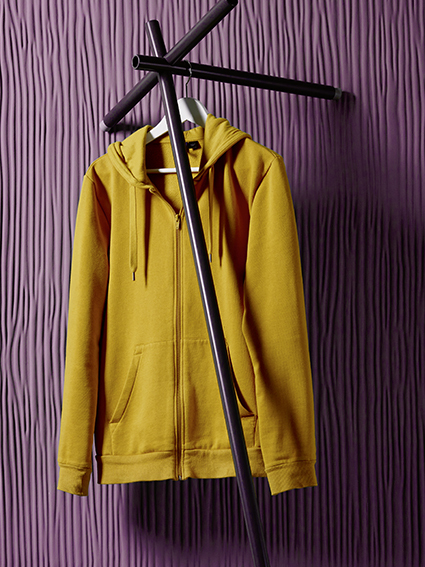 Just a single coat is often sufficient for the perfect look, depending on the colour being used and the desired effect. Classic Varnish impresses with exciting colour changes. 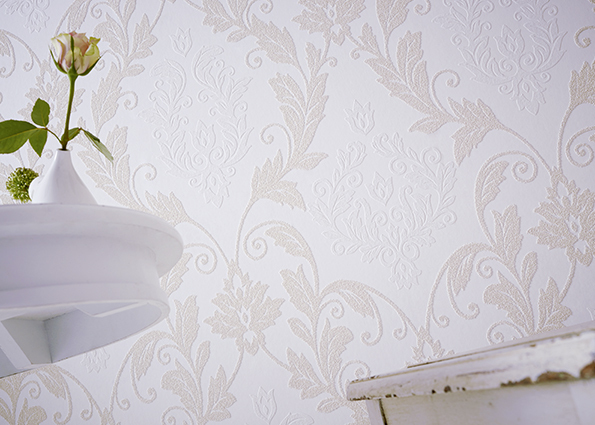 The wallpaper has been developed especially for varnish, but can also be used with covering paints. The open, absorbent non-woven material absorbs the varnish particularly strongly. Combined with the reduced colour absorption of the pattern exciting contrasts are produced, bringing out the varnished effect perfectly. 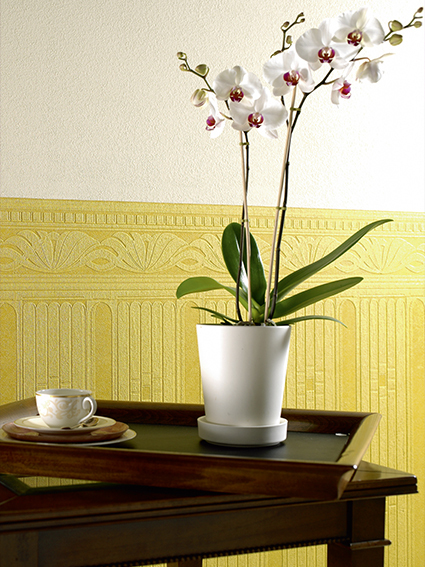 Longlife gives rooms a touch of luxury. The technically accomplished surface, finished with a suitable paint, not only makes the wallpaper look beautiful but also strong and scratch resistant. 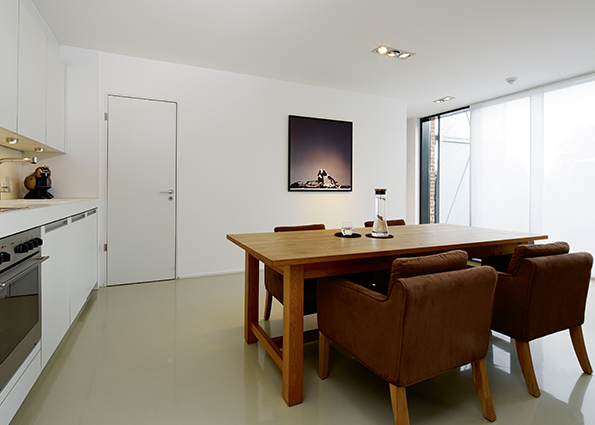 Longlife is therefore ideal for surfaces exposed to a particularly high degree of wear, such as in hotels or heavily frequented areas such as stairwells or corridors. To create the attractive three-dimensional effects featured in this edition, an extra-stable non-woven material was carefully strewn with granulate or – as a nod to Feng Shui – with real quartz sand. The result: a fine 3D effect with a pleasant feel and interesting colour changes with incidental light falling from the side. Quartzite comes with a coarse, medium-sized and fine grain. 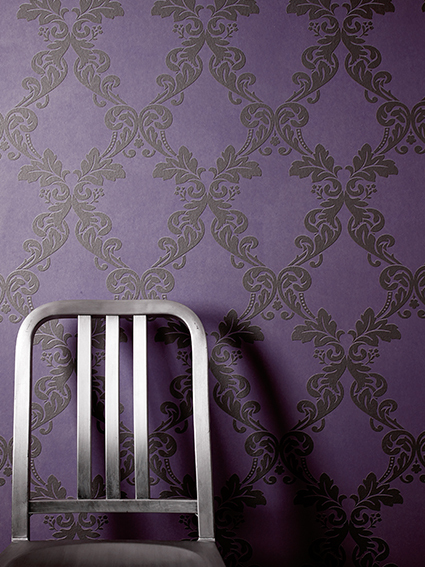 All wallpapers from Architects Paper meet high environmental standards. They are free from glass-fibres, solvents, formaldehyde and heavy metals. 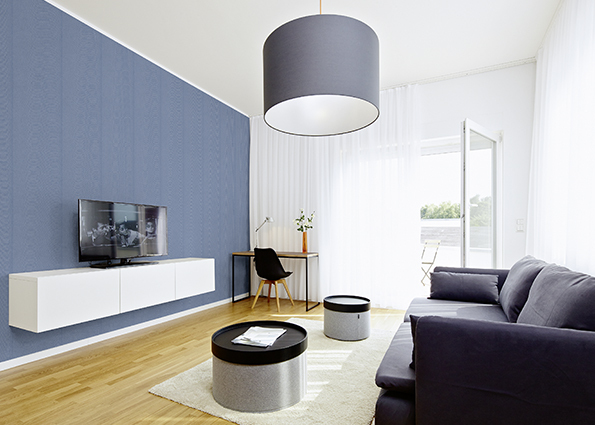 The particularly environmentally-friendly Eco non-woven wallpaper goes one step further: It is completely free of PVC and plasticizers– all without compromising on material quality or ease of use. Columns, meandering lines and acanthus blossoms – the motifs of these particularly three-dimensional, extra-wide non-woven wallpapers for designing plinths and friezes are inspired by antiquity and the Baroque era. 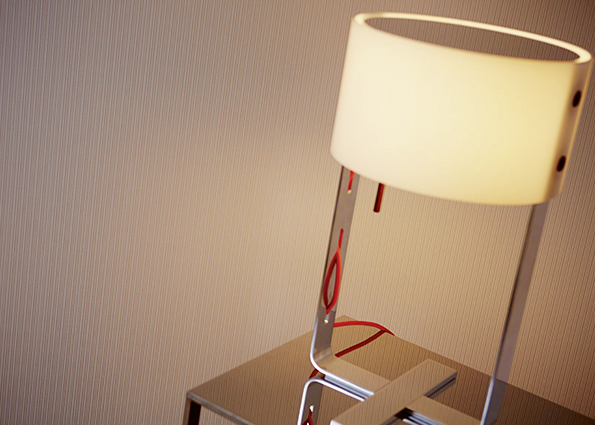 Graphical motifs add an unusual touch to premises furnished in a modern style. Borders are ideal for paint-saving top coats and for varnished effects. BorderVarnish impresses with exciting colour changes. The Dado Panel has been developed especially for varnish, but can also be used with covering paints. The open, absorbent non-woven material absorbs the varnish particularly strongly. Combined with the reduced colour absorption of the pattern exciting contrasts are produced, bringing out the varnished effect perfectly. Ceiling design made easy: Non-woven wallpapers with a pre-painted surface and discreet textures have been developed especially for decorating ceilings. 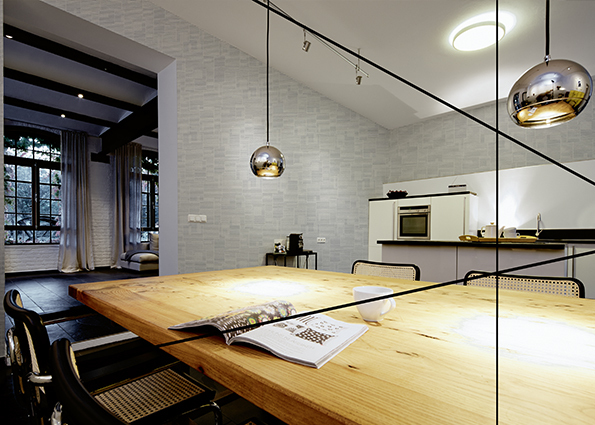 Thanks to their user-friendly dimensions of 75 cm, they can be hung easily and confidently. 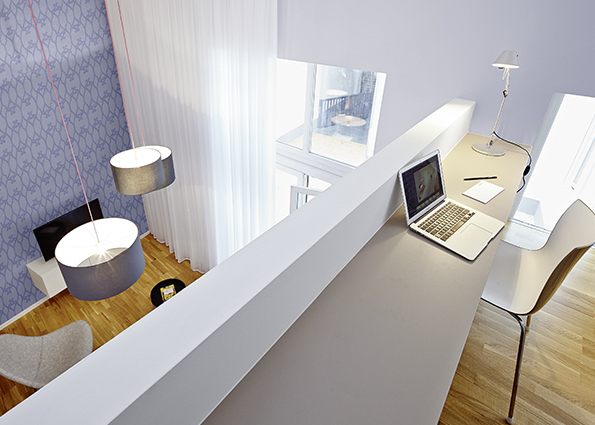 The wallpapers are resistant to light rays and ensure a seamless, streak-free result – even when working above your head. 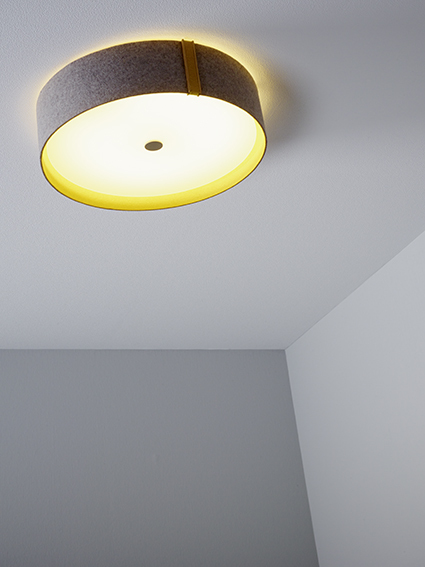 Optimised for ceilings, perfect for walls. 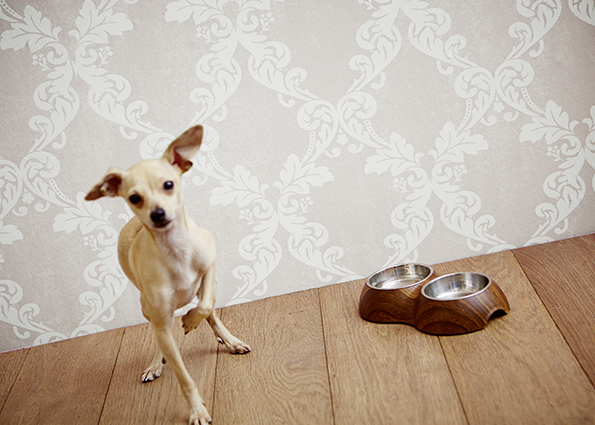 The paintable smooth non-woven wallpapers come in high-quality specifications of 130g and 150g. They have been developed for quick, paint-saving coverage of large areas, are easy to work with and offer perfect colour effects. AP Stretch 160 – A particularly tear-resistant and stretchy smooth non-woven material with a surface weight of 160g has been developed for problematic old or new plastering with a tendency to crack formation. Even dynamic cracks up to 30mm are concealed permanently. That is ten times more than with conventional non-woven material. 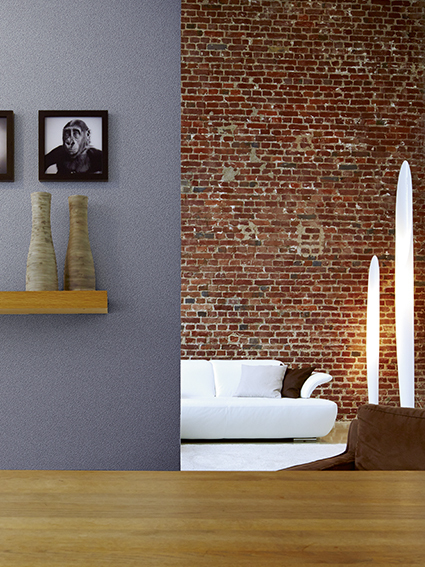 When combined with the right kind of paint it turns unsightly plaster into durable functional wall décor. With its extraordinary three-dimensional corrugated structure with a depth of up to 6 mm, Stoneplex P puts all conventional wallpapers in the shade. The rollable panel is produced by hand and is available in widths of 100 cm. 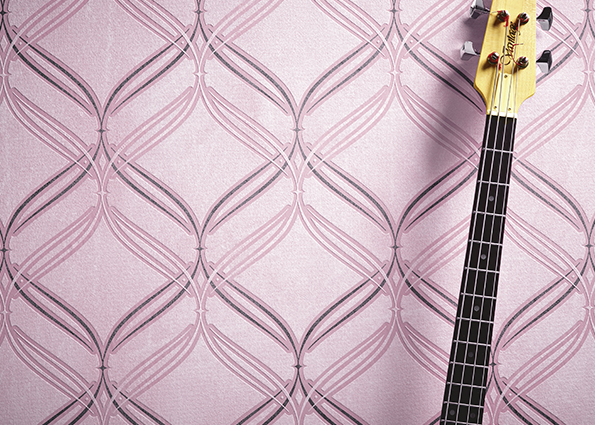 In addition, the wall covering has a sound-absorbing effect. How does top coat behave on different surface textures? Is it possible to produce wallpaper with quartz sand? The interdisciplinary team developing the AP Pigment collection explored all these questions, and many more. The team included colleagues from our Research & Development, Studio, Quality Management, Production and Applied Technology areas, Contract, Sales and Export, as well as external trade consultants. During an extensive process they analysed product lines over and over. Together with commissioning firms, end users and suppliers they questioned, debated, explored and designed. They tested ideas for possible products; some were discarded, others developed further, certified, patented and finally produced. Nothing was left to chance during the development process of AP Pigment. Here you will find information on processing and technical data sheets for paintable wallpaper AP Pigment. For the fith time around 25 AIT Trendscouts were sent out to scout for the newest trends of the branch at the Heimtextil. This year AP Pigment of Architects Paper won the AIT Trend 2014.